The engagement ring is not just another piece of jewelry, but to many, it is a symbol of love. A symbol that the owners of W.R. Metalarts at the Cotton Mill takes seriously when creating each engagement rings. 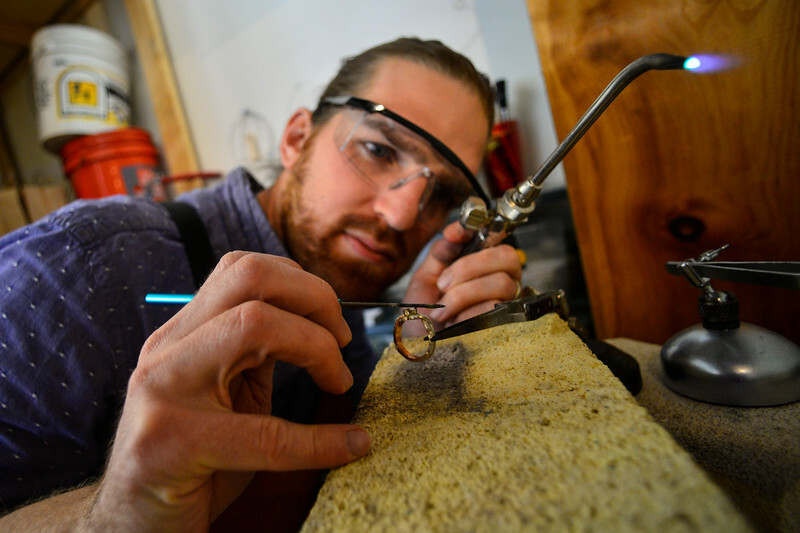 Will Nevins-Alderfer, co-owner of W.R. Metalarts, looks at the placement of the diamond setting on the ring before soldering them together.